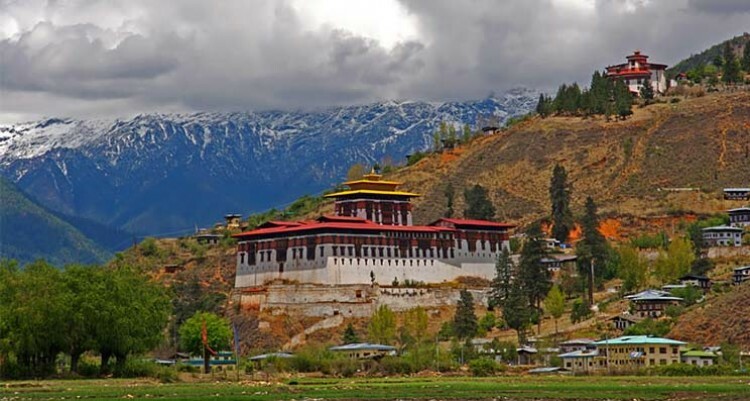 Historical tour of Bhutan is the combination of cultural and historical tour around Bhutan. This is a magnificent trekking trail that offers you the fascinating view of different mountains, lakes, passes, highland around the border of Bhutan and Tibet. The places to visit in the tour are Paro, Thimphu, Trongsa, Bumthang, Gangtey (Phobjikha) and Punakha. Visiting these historical places will help you to know the culture, tradition and history of Bhutan. The trek starts with a scenic mountain flight from Kathmandu to Paro. We visit the crowded local market, variety of cultural meusium and different old monasteries of Buddha. The trek passes through different variety of sub-tropical forest, forest of oak and rhododendron, old forts and monasteries, deep into the culture and religion of Buddhist and many more. Historical tour of Bhutan is a perfect trekking destination designed to know or explore real Bhutan its culture and people. Historical tour of Bhutan is an easy trek for 12days which takes you from high snowy places to the low grass land. Experience the fascinating Mountain View and explore the culture of Bhutan. Day 01: Today early in the morning we fly a scenic flight from Kathmandu to Paro. Rest overnight. Day 02: Today early in the morning after breakfast we go to visit Ta Dzong (National Museum) and then walk down the trail to visit Rinpung Dzong which has a long and fascinating history. Rest overnight. Day 03: Today early in the morning we trek for 2hours covering the distance of 60km from Paro all the way to Thimphu. Rest overnight. Day 04: Today we trek for 3hours from Thimphu to Punakha. We visit National Library, Painting School and Traditional Medicine Institute. Rest overnight. Day 05: Today we trek for 3hours from Punakha all the way to Wangduephodrang and then to Gangtey. Rest overnight. Day 06: Today we trek for 4-5hours from Gangtey all the way to Trongsa crossing 3,300m high Pele la pass. Rest overnight. Day 07: Today early in the morning we start our trek walking for 3hours from Trongsa all the way to Bumthang. Rest overnight. Day 08: Today we explore Bumthang. We visit Tamshing Lhakhang, the treasure house of interesting religious Buddhist paintings, Jakar Dzong, the administrative center of the valley. Rest overnight. Day 09: Today early in the morning we leave Bumthang and trek from 7hours all the way Wangdue phodrang. Rest overnight. Day 10: Today we trek for 3hours covering 77km from Wangdue Phodrang all the way back to Paro. Rest overnight. Day 11: Today early after breakfast we go for the visit and sightseeing around Paro. Explore the cultural place and enjoy the sightseeing around. Rest overnight. Day 12: Today early after breakfast we transfer you to the airport for flight to onward destination.